Chives are the smallest species of the edible onions. The name of the species derives from the Greek skhoínos (sedge) and prason (leek). Its English name, chive, derives from the French word cive, from cepa, the Latin word for onion. Chives are a commonly used herb and can be found in grocery stores or grown in home gardens. In culinary use, the scapes are diced and used as an ingredient for fish, potatoes, soups, and other dishes. Chives have insect repelling properties that can be used in gardens to control pests. Chives have been cultivated in Europe since the Middle Ages, although their usage dates back to 5000 years ago. They were sometimes referred to as "rush leeks" (from the Greek schoinos meaning rush and prason meaning leek). The Romans believed chives could relieve the pain from sunburn or a sore throat. They believed that eating chives could increase blood pressure and act as a diuretic. Romanian Gypsies have used chives in fortune telling. It was believed that bunches of dried chives hung around a house would ward off disease and evil. This tostadas recipe is different because you don’t use refried beans as a base, you could, if desired. You could use canned chicken or rotisserie. 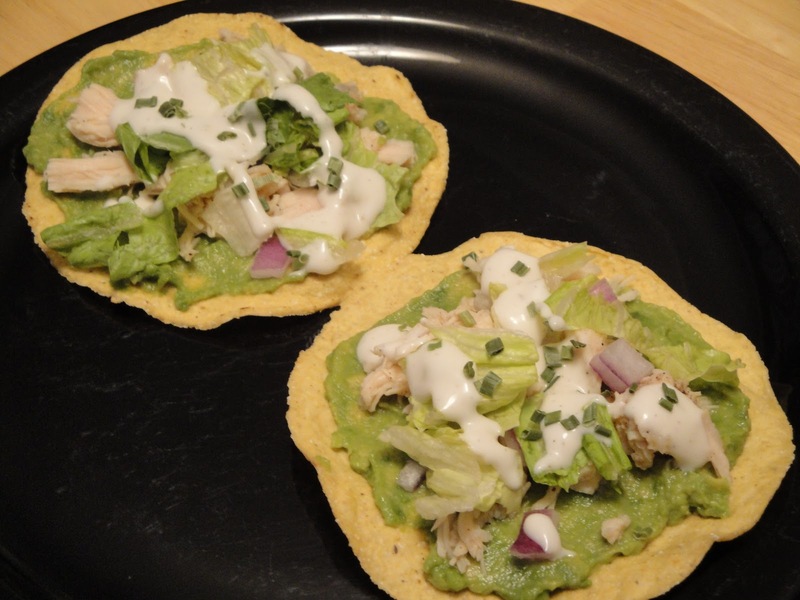 To build, spread guacamole on each corn tostadas, then add chicken, red onions, lettuce and drizzle light buttermilk ranch dressing. Garnish with chives. Enjoy! Those look especially good. The chives have quite a pretty flower. I used to grow them years ago in Ontario. 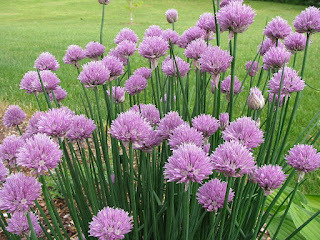 I have chives in my garden and love their mild flavor. They're so pretty when they flower too! Love, love, LOVE Chives! About 12 years ago I planted an herb garden. It has long since gone away, but the one remaining plant is my chive plant that I stuck in a pot....it's still thriving! Oh, boy, do I love guacamole...and it is a fabulous addition to your yummy tostadas! Oh Christine, I LOVE smoking sausage! I have some garlic chives growing up on the terrace and I am excited to harvest them! Although messy, I loved eating tostadas in Mexico. Mmm. I love tostadas! The chives must add such brightness to this dish. Tostadas don't seem to get enough love when it comes to Mexican or Tex-Mex. I love tostadas and yours look fabulous!